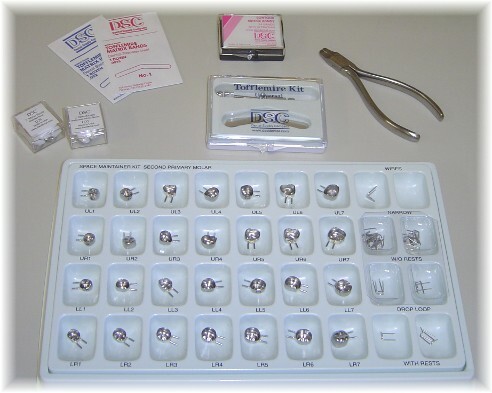 DSC Dental, established in 1966, is engaged in the manufacturing of small dental parts. The original line of aluminum shells and copper bands has now grown into the present product line consisting of stainless steel crowns and preformed bands, space maintainer crowns, bands, components and pliers, aluminum crowns and shells, a full range of Tofflemire Matrix products, and contour matrix bands as well as several orthodontic products. or call (800) 747-4558 with questions or comments about this web site.